GENUINE VOLKSWAGEN RCD-200 MP3 CD PLAYER / RDS TUNER. In fact, by using a MP3 CD you can on average have between 8 to 10 albums on one disc. - FM/AM Radio Tuner - RDS. Fits VW Polo as well. Radio is supplied with the Code. Operation System: Android 9.1. - Support Mirror Link function: Yes, support screen mirroring from iphone and Android Smartphone. - A2DP (Bluetooth Stereo Music): Yes, can play stereo music through Bluetooth. 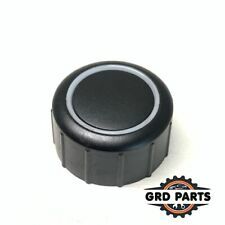 FITS VW GOLF PASSAT CADDY JETTA TOURAN. VOLKSWAGEN CD RADIO PLAYER. All stereo are tested thoroughly security marked internally and security labelled externally. SUPPLIED WITH SECURITY CODE. Support:VW Golf MK5 MK6 Passat Touran Jetta SKODA Octavia Tiguan Eos SEAT Caddy. SKODA Octavia Limousine (2004 bis 2006). Tiguan (2007 bis 2013). Adopt the newestAndroid 8.1 Oreo OS, 1024 600 HDCapacitive Touch Screen,Quad Core 1512MHz CPU,2GB RAM and16GB Internal Storage, Support extended 2 Card/3 USB Stick up to5 32GB. Volkswagen VW Touran 2003 2004 2005 2006 2007, 2008, 2009, 2010, 2011, 2012, 2013, 2014, 2015. Volkswagen VW Tiguan 2007 2008, 2009, 2010, 2011, 2012, 2013, 2014, 2015. SKODA Fabia 2007,2008 ,2009, 2010, 2011, 2012 ,2012, 2014. Tiguan (2007-2013). 1 Din Radio. 2 Din Radio. 6.2" Radio. Special Radio. Support 1080P Videos, the newest 10-Band EQ, VMCD---Virtual 10 CD Changer. Passat B6 / 3C (Estate / Sedan / Wagon) (2005-2010). 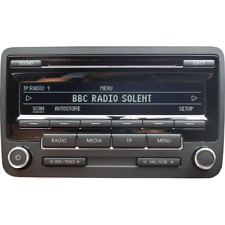 Language:English Accessories:RCD510 x1 USB Cable x1 Manual x1 RCD510 Instruction: The radio is with code, and it is written on top side of the unit with 4 number 'XXXX' Full touch-screen system with 6CD changer, MP3 CD reader (for all 6CD slots) The radio is without DAB, RDS and SAT Systems. The radio supports maximal 32G HCSD The radio supports Optical Parking System, but OPS function module is required, and you need to reset the programs The USB can read USB-stick, and it can connect with Iphone/Ipod. The radio supports Bluetooth, and Bluetooth module is required. If you want to use the Bluetooth function, you need to install a Bluetooth module. You can purchase it in our shop in price 119 EUR.If you are not sure whether the item is compatible with your car, please contact us. DAB Antenna. 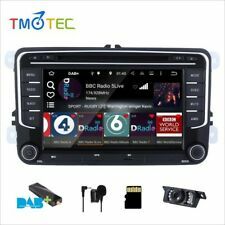 DAB Car stereo radio Android 8.1 for BMW 5 Series E39 E53 X5 M5 Sat Nav 4G RDS. 7"All-in-One Design for old VW Cars with built-in CanBus Decoder (it cost GBP30 in the market). Adopt the newest Android 8.1 Oreo OS, 1024 600 HD Capacitive Touch Screen, Quad Core 1512MHz CPU, 2GB RAM and 16GB Internal Storage, Support extended 2 Card/3 USB Stick up to 5 64GB. DAB Antenna. DAB Car stereo radio Android 8.1 for BMW 5 Series E39 E53 X5 M5 Sat Nav 4G RDS. 9"Android 8.1 Car stereo Sat Nav DAB For VW PASSAT GOLF CADDY TOURAN SEAT SKODA. - Touran (2003-2014). Adopt the newest Android 8.1 Oreo OS, 1024 600 HD Capacitive Touch Screen, Quad Core 1512MHz CPU, 2GB RAM and 16GB Internal Storage, Support extended 2 Card/3 USB Stick up to 5 64GB. Kenwood DNX520VBT I am selling due to upgrading.. Please copy and past this link for the units spec etc: https://www.kenwood.eu/car/navigation_multimedia/navigation/DNX520VBT/?view=details Everything in the photo's are included (manuals, wiring, mic, GPS etc). The unit was fitted to a VW T5 Transporter 2010. All is in excellent condition and works as it should. This unit was a £1000 optional extra offered by Volkswagen. Unit looks great and is in perfect working order. I will despatch to the UK only and within two working days of receiving payment. Thanks for your viewing. FITS TOURAN GOLF JETTA PASSAT CADDY. VOLKSWAGEN RCD 300 CD RADIO HEADUNIT. SHOULD YOU REQUIRE A SECURITY CODE FOR THIS CD PLAYER ONE YOU HAVE I CAN CODE IT FOR YOU. SUPPLIED WITH SECURITY CODE. Support :VW Golf MK5 MK6 Passat Touran Jetta SKODA Octavia Tiguan Eos SEAT Caddy. 2010 VW GOLF MK6 1.6TDI RADIO CD PLAYER 1K0035186AA #17843. Part number: 1K0035186AA. This item has been removed from a: 2010 VW GOLF MK6. Part type: RADIO CD PLAYER. Model: Golf. Might need to be coded to your vehicle. FITS GOLF PASSAT POLO BORA TRANSPORTER SHARAN. SUPPLIED DECODED WONT REQUIRE A SECURITY CODE. VOLKSWAGEN SINGLE DISC CD CHANGER. SHOULD YOU REQUIRE A SECURITY CODE FOR THIS CD PLAYER ONE YOU HAVE I CAN CODE IT FOR YOU. Part Number: 3C8035195A. Donor Vehicle: VOLKSWAGEN GOLF MK6 2011. THESE PARTS ARE FROM MK4 GOLF. GAMMA RADIO WILL NEED A CODE. VW LUPO(1997 to 2005). - Built-in DAB Player App: Yes, just connect a DAB Box to use this function. ANDROID SERIES. 7" All-in-One Design for old VW Cars with built-in CanBus Decoder (it cost GBP30 in the market). FITS GOLF PASSAT POLO BORA TRANSPORTER SHARAN. SUPPLIED DECODED WONT REQUIRE A SECURITY CODE. 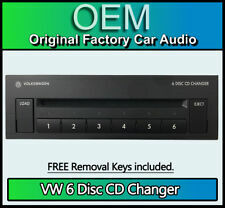 VOLKSWAGEN 6 DISC CD CHANGER. SHOULD YOU REQUIRE A SECURITY CODE FOR THIS CD PLAYER ONE YOU HAVE I CAN CODE IT FOR YOU.